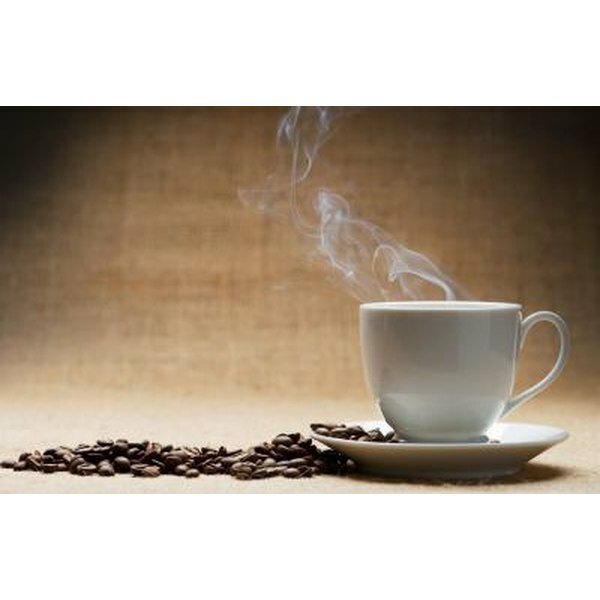 Does Coffee Cause Gallbladder Issues? If you have gallbladder issues, you most likely have gallstones, which are small, hard deposits that can develop inside your gallbladder. You may also have gallbladder inflammation, which sometimes develops in connection with gallstones. Although you may wonder whether coffee consumption increases your chances of gallbladder issues, coffee -- especially caffeinated coffee -- may help your gallbladder function more efficiently. Decaffeinated coffee doesn't seem to affect it one way or the other. Your gallbladder serves an important function in your digestive system: it stores enough bile to digest most of a large, fatty meal. When you eat, your body signals your gallbladder to release that bile, and your gallbladder contracts, forcing the bile down your bile ducts toward your stomach and pancreas. Gallstones can develop in your gallbladder over time, and may cause few symptoms. However, they may irritate your gallbladder to the point of inflammation, and they also may get lodged in a bile duct, causing a painful gallbladder attack. Gallbladder disease and gallstones tend to run in families, so if one of your parents has gallbladder issues, there's a good chance you will, also. If you're overweight, you're at a higher risk, and women tend to have more problems with their gallbladders than men. Because the gallbladder is part of the digestive system, considerable research has been done to identify foods that might contribute to or prevent gallbladder disease. There's in fact a long list of potentially helpful foods, and that list includes caffeinated coffee. Coffee can help to mitigate or prevent gallbladder disease, according to two large studies involving both men and women. In the first study, which involved only men and was published in June 1999 in "The Journal of the American Medical Association," researchers looked at more than 46,000 men over the course of 10 years. Men who consumed the most caffeinated coffee -- more than four cups per day -- had the lowest risk of gallbladder disease. In a separate study published in December 2002 in "Gastroenterology," researchers looked at nearly 81,000 women and reached the same conclusion: Caffeinated coffee protects against gallbladder disease. Caffeinated coffee appears to encourage the gallbladder to contract and empty fully, which forces out small quantities of bile that otherwise could solidify into kidney stones . However, other caffeinated beverages, such as tea and cola, don't seem to have that same effect, and it's not clear whether a substance in coffee beyond the caffeine contributes to gallbladder health. Drinking caffeinated coffee does seem to be important; in the two studies, decaffeinated coffee didn't lower participants' risk of gallbladder issues. What Food Should You Avoid if You Are Having Trouble With Biliary Colic?